It is advantageous to bring a team of up to four people to Taiwan because it can portray your status and image as well as the seriousness of the meeting. The Taiwanese host will always pay the bill. It is considered polite for the guest to offer to pay, but do not insist or fight over the bill. Hence, you should choose a partner that brings a lot to the table, including local knowledge and personal relations and contacts that are necessary for your business to succeed in. Although Taiwan is a traditionally male-dominated society, foreign businesswomen are treated with respect. The island was given the name “Formosa” (meaning “beautiful”) by the Portuguese in the 16th century when they first laid eyes on it. Taiwan is one of the world’s largest producers of computing goods. The island nation has an extensive, well-established network of industrial zones and a growing number of high-technology industry clusters, which are supported by high-quality human resources. Milk tea with tapioca pearls called ‘bubble tea’ or ‘boba’ originated in Taiwan in the 1980s and became a favourite Asian drink. What is the minimum number of directors required for a Taiwan company? 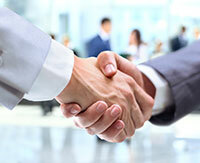 Private limited companies in Taiwan require only one director. A public company needs three directors. What is the minimum number of shareholders required for a Taiwan company? Only one shareholder is needed to start a limited company in Taiwan. Is a Taiwan company required to submit an annual tax return and/or financial statements? Yes, a Taiwan company is required to submit audited financial statements annually. How much tax does a Taiwan Company pay? Taiwanese companies pay corporate tax rate of 17% on all income generated in Taiwan. The Taiwan government has approved two tax cuts recently, reducing the tax rate from its former level of 25%. In addition a Taiwanese company is obliged to register for value added tax (VAT), which is levied at a rate of 5%.